I'm running a little behind with blogging today, but hopefully this will help you forgive me for the delay. Let's make Fri-yay even better with a giveaway! 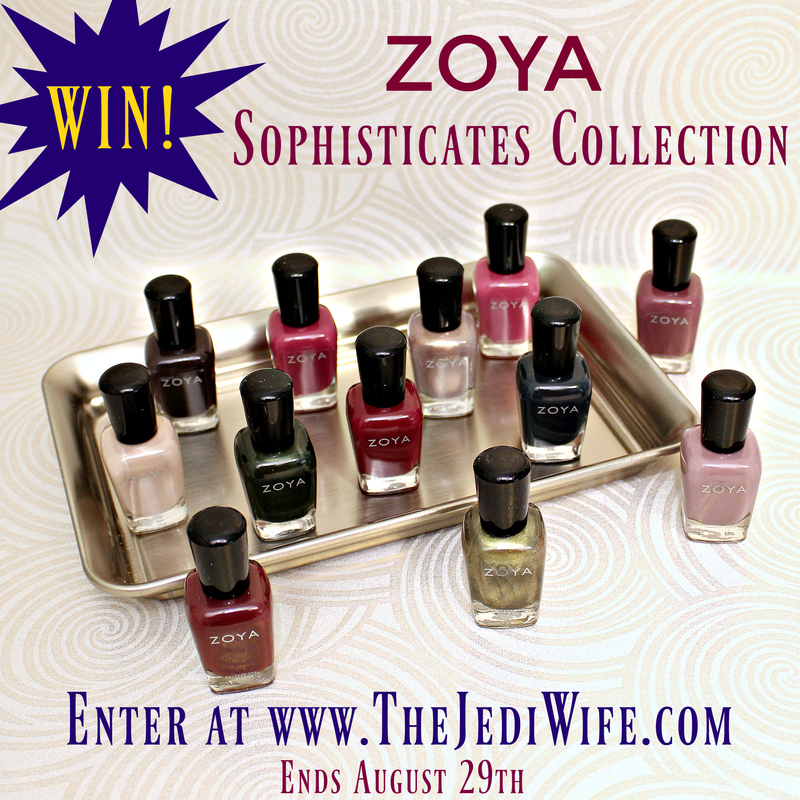 I have a second set of the Zoya Sophisticates Collection, and I am giving it away to one lucky reader! Win the full 12-piece Zoya Sophisticates Collection! Enter using the rafflecopter widget below. Best of luck to you! Open internationally to participants age 18 years and older. Winner will be contacted by provided email address at the close of this giveaway and will have 48 hours to claim their prize. Failure to claim prize within the designated time frame will result in forfeiture of prize and a new winner will be selected. Prize will be shipped by The Jedi Wife within 10 business days after prize is claimed. Fall means cooler temps, and that means soups and stews for dinner! My husband and I switched to a vegetarian lifestyle in May, and I've found so many wonderful sounding soup recipes but it's just too warm for them right now! I love fall because that means carving pumpkins and corn maizes! Fall is my favorite season for sure! I am most excited for the air. I love the temperatures, lower humidity, lovely breezes. All of this for roughly three weeks before it turns rainy and cold. Well, where I live it does this. Awesome giveaway! I can't wait to get this collection on my digits! I'm not really excited about anything about fall this year. I'm kind of in mourning for summer. :-0 although I do hope to get some fall flakies and I'm excited about that. I'm excited about the cool weather because I hate Summer. I'm also excited about Halloween and Thanksgiving. Thank you for doing an awesome giveaway! I've been wanting to try Zoya polishes for a long time. I am super excited about my ROAD TRIP!!!! I am going to be driving around Boston, Portland (Maine) and Vermont for nearly 2 weeks in September. So excited!!!! Obsessed with this collection! I am hoping to pick up a few colors for fall. I'm most excited about the cool weather and fall color palette (in nature, clothing and makeup/nail polish)! Excited about Pumpkin flavored everything. Not entering because I have this, but awesome for you to have a giveaway! I just got mine in mail recently - this collection is great - good luck to those who entered! The colors of all the maple tree's here in NH and the smell of the crisp fall mountain air there is nothing like it. But not looking forward to what comes after that snow YUCK!! I can't wait for crunchy leaves and to wear scarves again! I love the darker clothing colors in the fall. 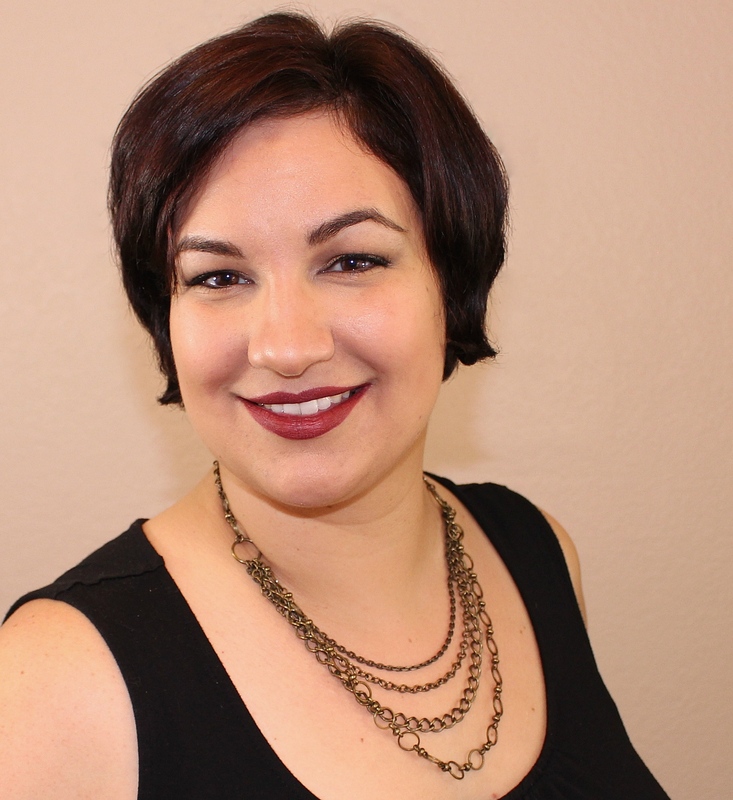 I can't wear pastels so burgundy, forest green and chocolate brown colors are my go-to fall wardrobe! This collection is on point! Good luck, ladies! What a fun giveaway! I would totally enter if I didn't already have these. This collection is beautiful! Fall means pumpkin spiced everything!!! I cannot wait!! Cooler temps and boots!!! All the boots!! For fall I cannot wait to get out the sweaters and smell the leaves! Cooler temps, yummy food and boots. Pumpkin everything! And sweater weather. I'm most excited for the leaves to change colors and their smell. I am looking forward to Halloween. I'm most excited about pumpkin everything!! !